The USCT was made up of better than 178,000 freed African-Americans who were willing served in the United States Colored Troops (USCT) during the Civil War. 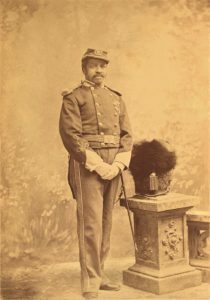 Of that figure, during the war, about 2,751 USCT soldiers lost their lives in combat. More than 68,000 more died during military service from disease and other causes. They were not in the Union troops for the war immediately. However some individual states, African Americans were signing up to serve for that state’s local military groups. Not until May 22, 1863, the U.S. War Department issued General Order No. 143 authorizing the recruitment of African Americans into the armed forces. 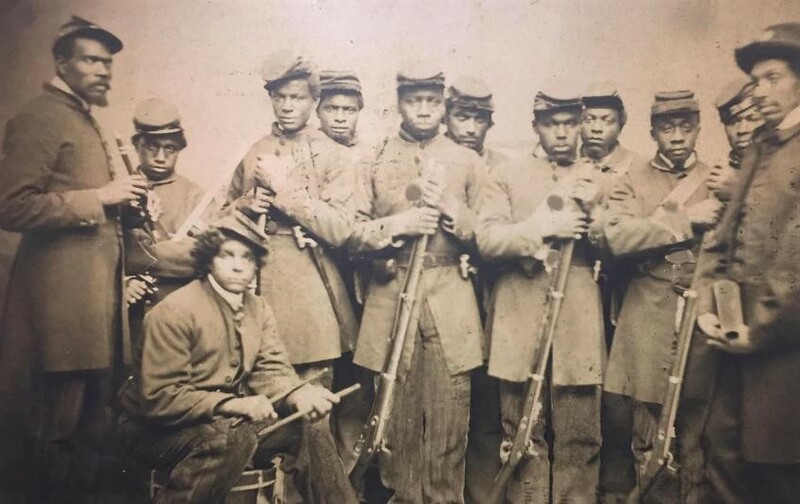 African American regiments created under this order were known as United States Colored Troops, or USCT which included cavalry, artillery and infantry. Most of the soldiers served in the infantry. This was after Lincoln’s September 1862 proposed emancipation and then the official signed document on January 1, 1863 ‘Emancipation Proclamation’. It was a method for the freed blacks to actually help keep their freedom. For pay, soldiers of African descent were to receive $10.00 a month, plus a clothing allowance of $3.50. A good free database to search for names of those who served would be the Soldiers and Sailors Database available online. 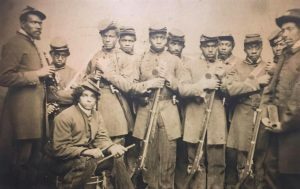 Also on the FamilySearch.org site is the Union Colored Troops of the Civil War 1863-1865. If you have located possible names see if that individual applied for a military pension. There is also a database on pensions, free from FamilySearch.org. 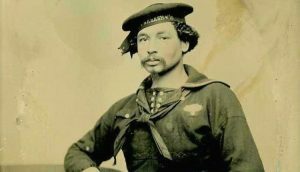 There is the African American Civil War Museum located on Vermont Ave NW in Washington D. C. They provide tips on how to search for ancestors who served with the USCT. It started in January 1999 and preserves photographs, documents, artifacts, has seminars by staff, and historical presentations by community members. A site for sure to check out online and to visit. Photos: Sgt. Major Christain Fleetwood, USCT (received the medal of honor); Jones Wilson, age 21, served 1863 with 36th Colored Infantry; Colored Troops with musical instruments and rifles and Dalyce Newby- a Black Sailor.